Thanks Dogs In Duds for the great photo! 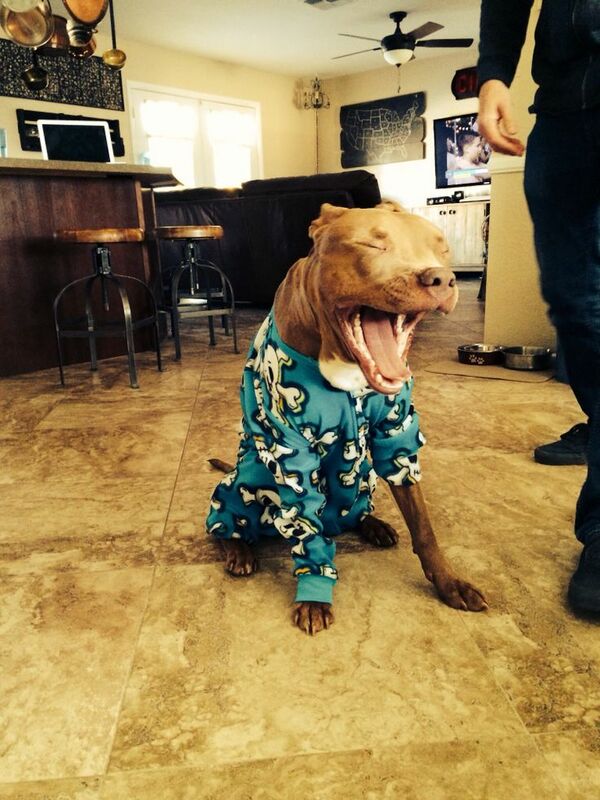 I’m not sure this dog likes his pajamas . 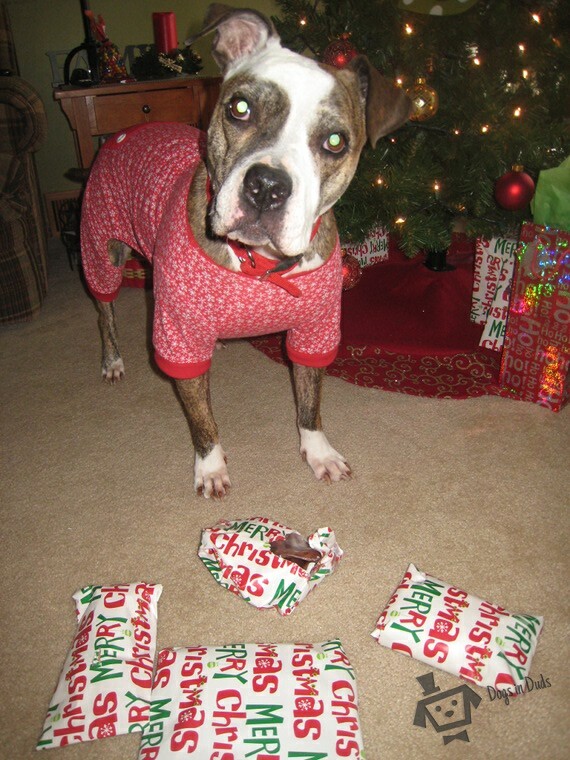 . .
it’s time for more Dogs In Pajamas!